On December 29th 2017 our radiant heat stopped working and we did not have any hot water. We called Papa Plumbing to come and resolve our problem to which they came on January 2 2018 to take a look at our problem. I had already done some research on the internet as to what the issue might be so when they came I asked them to check the thermostat and the zone valves. They did neither and said that in order to fix the heat all they had to do was flush the hot water tank. I paid them and a few hours later it was obvious that this did nothing. I called Papa Plumbing and spoke to Kal and told him that this did not resolve the issue - they came back and said a valve needed to be replaced and the system needed to be flushed again. I paid them and a few hours later it was obvious that the heat was still not working. I called them back and told them that my heat was still not working. They sent their supervisor who claims to have 20 years experience who spent most of his time complaining about how sick he his than actually working. Without doing any diagnostics or checks he stated it had to be the pump despite my requests for him to check the zone valves and the thermostat. He left and came back a couple of days later and replaced the pump and again flushed the hot water tank. I paid him and a few hours later it was obvious that the heat was not working. I called Papa Plumbing again and spoke to Kal who at this point refused to come back and do any more work at my house. I was taken aback by this as I paid to get my heat fixed and they were refusing to come and do this. I repeatedly asked Kal why not and he stated because they had already been to our house numerous times. To which I stated but I paid you to fix my heat and it still isn’t working so what did I pay for? How do I know what you guys fixed/replaced were actually broken and needed replacing? Kal said I am a plumber and have been doing this for over 20 years and that you are not a plumber and you don’t know what you are talking about. I agreed I am not a plumber and asked him what did I pay for since nothing they did fixed my problem. I don’t know why he was being so rude and disrespectful? so I requested he come and look at our problem and he said he would come with the supervisor the following Monday. They never showed up and my heat was still not working and over two weeks had passed by this point. After repeated calls and conversations with Kal, they never came back and he spoke to me like I was not worth the time. Very aggressive and rude, constantly talking over me and saying “you are not a plumber” not sure why we had to repeatedly establish the fact that I am not a plumber to which point I stated “this is why I called Papa Plumbing to fix my heat problems but it is obvious that Papa Plumbing does not really know what they are doing other than taking advantage of unsuspecting people by charging them inflated prices and in my case, fixing things that potentially did not need fixing. Kal asked me how I know it didn’t need replacing to which I replied because my heat still did not work. Kal said you are not a plumber, my guys would not replace something if it did not need replacing. This comment makes no sense since not one of his plumbers ran any type of diagnostic other than touch a pipe or two. I ended up calling a different plumber who came and after physically doing some checks realized that it was in fact the thermostat that needed to be replaced. The heat is now working. This took less than one hour. I called Kal to tell him that I got the heat fixed and that it was the thermostat and he said “what do you want me to do about it?” and “what do you want now?” as if I did something wrong. This is by far the worst customer service and I do not know how BBB can give them an A+ rating...RIDICULOUS. Regardless, I requested a refund for whatever they did because of the unprofessional behaviour, extremely poor customer service, living in cold for that period of time, etc. Kal initially stated I will give you $50, I requested he give me $600 which is half of what I had paid him. He laughed at me and hung up. I called him back and he said he will think about it and get back to me. He never called me back. I called Kal a few days later and suggested $200 was more than enough and fair. I stated I have been in the cold dealing with this for over three weeks and I am the one chasing you to get some resolution. I have called Kal a couple of times since than to get some resolution and he refuses to refund me and has never called me back. Part of the reason we called on Papa Plumbing was because last year we had an issue with our furnace and Papa came and replaced the entire furnace for a pretty penny (every plumber I have spoken to since then has stated we were way overcharged). After the furnace was replaced my problems still existed and Papa plumbing said that it was a zone valve that needed to be replaced. Once again we said OK, fix it. As soon as the valve was replaced, everything was working properly. After my recent experience and reflecting on my past experience I have to wonder “did my furnace really need to be replaced?” nothing was fixed after it was replaced. What if the only thing needing replacement was the zone valve? I feel like I have been ripped off and taken advantage of. I will never recommend Papa plumbing to anyone. They have the worst customer service and it is obvious they are out there to just take your money. Please please please for your own sanity find another plumber. I tried being reasonable but now I expect a full refund. I had the misfortune of being a victim to a flood. Papa plumbing came in to do the pipe repair. They replaced approx 2 feet of pipe, new shut off valve, pressure regulator and repaired 6" piece of pipe on my hot water tank and charged me $1050. Not knowing I accepted, but only to found out later I was grossly over charged. I had talked to 2 plumbers after that quoted me about $400. The plumber went on to tell me that I had PB pipe through my place and I should consider changing it because it's faulty. He quoted me $16,000 but told me he would give me a deal and do it for $8,000. He was truthful in the fact that the PB is no good. But the final quote I got from another plumber was $2000. Furthermore, I contacted the company asking for a itemized receipt. I had asked them 3 times in the last 3 days and was only told "I'll look into it and send it via email." I have never gotten anything from the company. I called papa plumbing to fix the furnace in Feb2017. He told me need new control switch on the furnace, he changed it for $850 ! I felt he charged us overly ! That was ok done was done ! Last week the furnace stop working again, so I called papa plumbing again , I was just about to explain him that , the furnace was fixed in feb, now we are having iuuse again, he didn't let me finish sentence, he said "are you looking for free, we are not going to do free for you, I said you didn't even let me finish , what I was saying to you , I said I would write review about your company, he said go ahead, we will pay $50 to remove it ! Then he keep calling me many times, and finely , he texted threatening me "saying you think , you can scare papa plumbing by writing the reviews, his behavior was very unprofessional, I have called many plumbing companies through my life time , never dealt any one like that ! Next day I called different company, Thry were very friendly and pleasant job was paid and done ! I was very disappointed in papa plumbing , I would never call anyone to do free job for me ! What was he thinking ! Call papa if you need it done fast! I called papa when my furnace kept shutting off and making a bad sound. When the tech arrived he removed the blower motor and said I needed a new one, and that he would be back the next day. Next day he came back with the new motor and now everything works great! Tried to charge us an extra 550 to install a relief valve that we found out was built into the unit. Rude technician with a bad attitude and very aggressive. We had replaced a sub pump last October 2013 and it had a one year warranty, well now it is only June and it is broken. We called and they came and replaced it, but they try to mislead us in telling us that we did not have warranty and that sanitary products and other unknown objects were flushed which voided the warranty. We had paper and receipt to confirmed that warranty was still in effect, as for sanitary products...that washroom is used buy a male and not a female renter for the past 3 years. I was installed soft water tank few month ago it didn't work from the beginning I tried to call them they ask me to find my self plumbing & send them the invoice finally my plumber couldn't fix it and I called again & again they keep telling me some one will call me what kind the company & service, I will keep complaint to other department. please give us a call, this is the first I am hearing about this. Thank you.. we can get this fixed for you. He's been my primary plumbing contractor for the past 8 years so I don't even remember how we first got introduced. They do things right otherwise I wouldn't have been working with them for so long. They're on time and perform good service. My only problem is that the guys should be more cautious when opening the walls for plumbing repairs. They should cut it instead of smashing it open. From flooding to furnaces, minor repairs to major restorations, no job is too big or too small for PAPA Plumbing. PAPA Plumbing & Heating Ltd takes care of it all! With plumbing, heating and drainage service that is guaranteed and sets us apart, they’ll not only heat your home, they'll warm your heart! 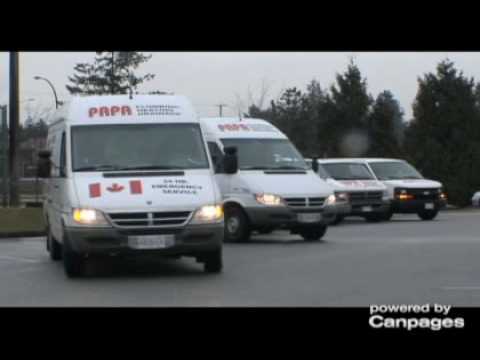 So when your plumbing, heating or drainage is at its worst, dial 604-437-PAPA (7272) first!